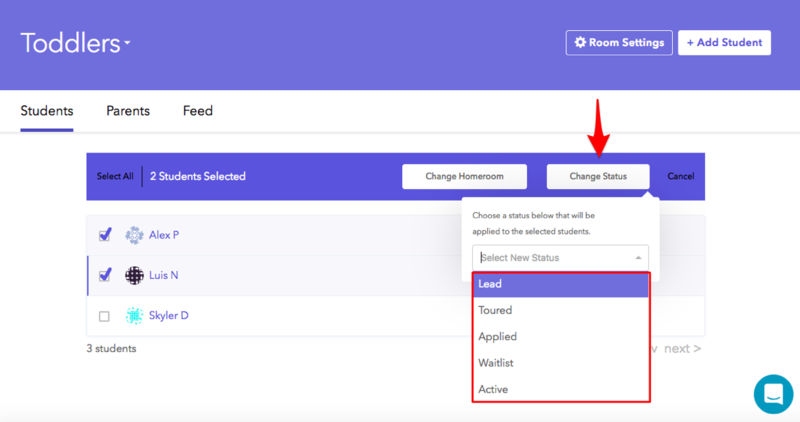 Quickly update student statuses and homeroom assignments in bulk from the web. Maintaining accurate statuses and rooms assignments makes a world of difference for you and your staff. These statuses allow you to filter student across the web an mobile apps. This is a great way to archive students no longer enrolled in your program but may need reports for down the road. Updating student statuses as well as updating homerooms has never been easier. You're now able to update both of these settings in bulk rather than one by one! You will first sign into your online account and click on Rooms at the top of the screen. Next, click Room List followed by selecting the room of your choice. First, check the box next to the student(s) you'd like to select, then click on Change Status. Once you select the child's new status, you will click Confirm to save your changes. Using the same Rooms screen, select the student(s) you'd like to update, then click on Change Homeroom. 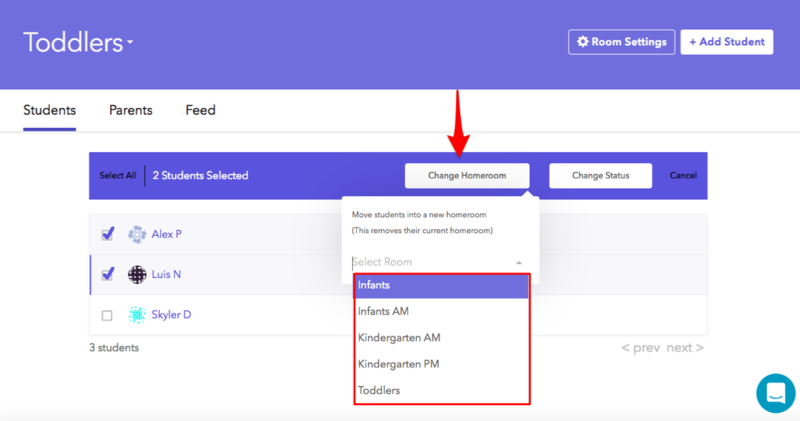 Once you select the child's new homeroom, you will click Confirm to save your changes. To learn more about room assignments and managing your rooms, check out these linked articles.